On a Mac - click on "View" and then click "Always Show Bookmarks Bar"
On a PC - click on Settings and then, under Appearance, click "Show bookmarks bar"
After installing the Ecosia extension, you can install another extension (such as Momentum) that customises your New Tab page. 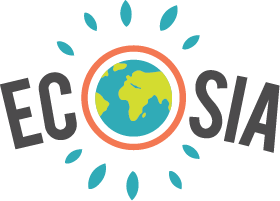 This way Ecosia will still work and you will have a custom New Tab page at the same time. If you already have a custom extension that is no longer working, uninstalling it, then reinstalling it again will solve the problem. This is because the typical behaviour for all extensions is that only the most recently installed one can control the New Tab settings. If you want to customise your New Tab page even more you might want to try this extension in addition to the Ecosia extension. Although we would like to make it easy to keep your previous New Tab page when using the Ecosia extension, we are not yet able to due to technical reasons from the Chrome side. We are working towards making this process more straightforward in the future.